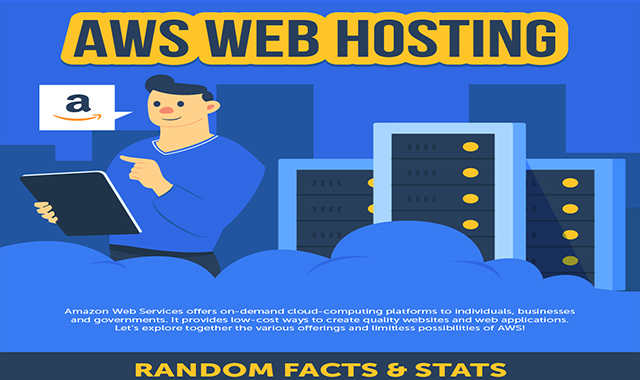 AWS Web Hosting Facts & Stats #infographic ~ Visualistan '+g+"
For over 15 years now Amazon has been conquering the world of web hosting. You might be unable to purchase a shared hosting plan directly from the online giant, but, more likely than not, you already have used services running on Amazon Web Services. Netflix, Reddit, AOL, and Pinterest are some of the most popular names hosted on Amazon servers. Even GoDaddy allied with AWS and is already moving the majority of its infrastructure to the leading Cloud service. To put things into perspective, GoDaddy is the largest web hosting provider in the world and owner of no less than nine data centers. But what makes Amazon Web Services such a huge success? For success it is. $18 billion in revenue for 2017 and nearly 50% growth in the second quarter of 2018 show that the Amazon Cloud solution continues to attract new customers left and right.